Reporting parliamentary proceedings was challenging and interesting. It was challenging because most of the speeches were in English at that time. We had to translate and write the copy straightaway. Most – if not all – the English newspaper reporters were proficient in shorthand and often noted down the speeches in shorthand and then typed their reports. To listen to the topmost politicians of the time was very interesting. They came well-prepared, having studied the subject to be debated. Covering Parliament was part of the duties of a selected team of reporters. I was in the team from the time I joined the Dinamina news desk. We covered proceedings both in the Senate (Upper House) and the House of Representatives (Lower House). The bicameral Legislature was a result of the Soulbury Constitution when the Parliamentary system of government was introduced in 1947. The Senate had 30 members – 15 nominated by the Governor-General and 15 by the House of Representatives. The latter had 101 members – 95 elected by the people and six nominated by the Governor-General to represent the minorities or unrepresented interests. 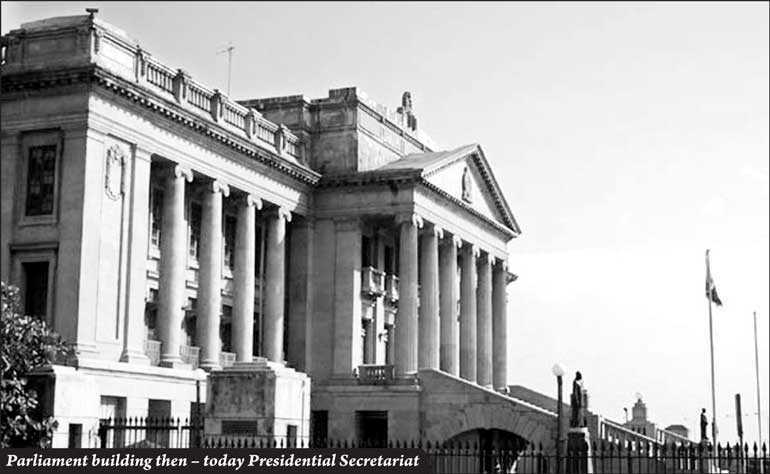 The House of Reps was at the building used first by the Legislative Council from 1930 and then by the State Council (1931-47), presently the Presidential Secretariat. The Senate building was opposite Gordon Gardens next to President’s House (then Queen’s House). Both were walking distance from Lake House. The Third Parliament had begun after the 1956 general election with Mahajana Eksath Peramuna/Sri Lanka Freedom Party (MEP/SLFP) Leader S.W.R.D. 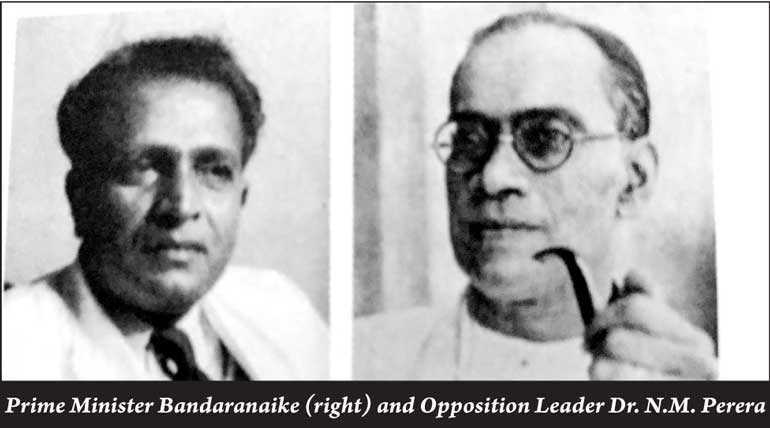 Bandaranaike becoming Prime Minister having won 51 seats and Dr. N.M. Perera, Leader of the Lanka Sama Samaja Party (LSSP – 14 seats) elected Leader of the Opposition. The United National Party (UNP) was routed and won only eight seats. Although the UNP leaders had lost their seats, other parties were well-represented with their stalwarts winning their seats. Thus the debates were well worth listening to. Legislation of a far-reaching nature was passed in the first few months but none of them had an easy passage with the Opposition members discussing them at length. Among the early Bills presented was the Sinhala Only Bill or Official Language Bill No. 33 of 1956, making Sinhala the official language. It was the fulfilment of a major election promise by both the MEP and the UNP. 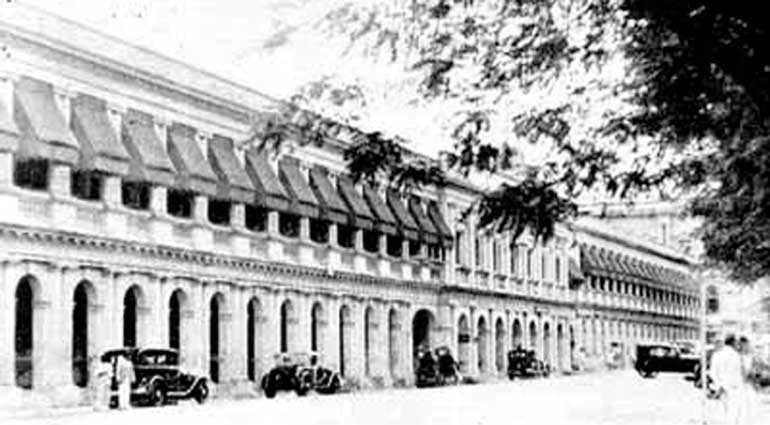 When the Bill was presented in the House of Reps on 5 June 1956, the Federal Party held a ‘Satyagraha’ at Galle Face Green. Although it created a tense situation the debate in Parliament continued and the Bill was passed on 15 June. 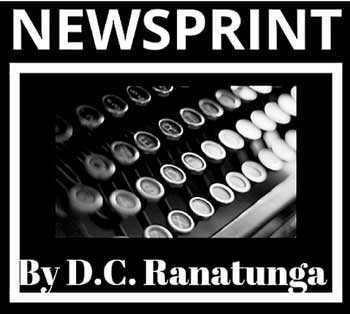 The MEP and UNP voted for the Bill while the leftist parties (LSSP & Communist Party) and the Tamil parties (Federal Party and All-Ceylon Tamil Congress) demanded parity of status for Sinhala and Tamil and voted against the Bill. There was an unforgettable incident when a colleague of mine reported the Prime Minister’s speech wrong. The report stated that the PM said that there was no difference between Sinhala Only and parity of status. The PM had called the Managing Director Esmond Wickremasinghe early morning and lambasted him saying that this was how Lake House was sabotaging the Government’s efforts in trying to do something useful for the people. The MD had nothing to say except apologising to the PM promising to carry a correction the following day. My colleague, in the meantime, had realised his mistake and left his resignation and gone away before we came to office. I was warned that I would have to face an onslaught in Parliament when the PM was going to make a statement. I went and occupied my seat in the Press Box when Parliament met at 2 p.m. With the Speaker’s permission the PM started on the grave mistake done by the Dinamina. All eyes were on the Press Box and looking down I wrote the copy. Incidentally, the Press Box virtually formed part of the Parliament ‘well’ – the term used for the chamber where the MPs sat. We were in the far corner on the left of the Speaker where the Opposition MPs sat. Opposite the Press Box on the side where the Government MPs sat was the Officials’ Box occupied by secretaries to ministries or other responsible officials. That enabled ministers to consult them whenever they had to reply to questions raised by MPs. The MPs wore ‘full suit’ or national dress and we had to do the same. We had lockers and we kept the coats in them whenever Parliament sat for a few days at a stretch.